Celebrate with this festive salad. 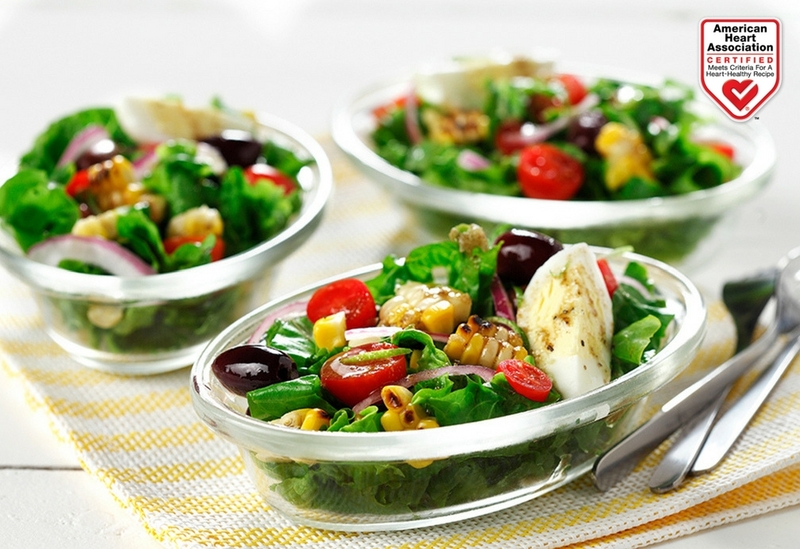 Canola oil gives salad dressing a smooth yet light 'mouth feel'. 1. In a large bowl, tear lettuce and radicchio into bite-sized pieces. 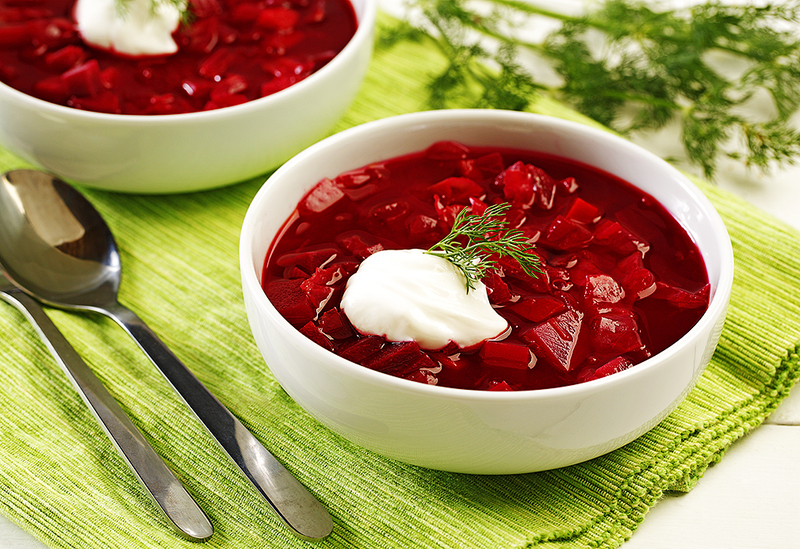 Toss inraspberries and onion. Drizzle vinaigrette over salad and toss. 2. 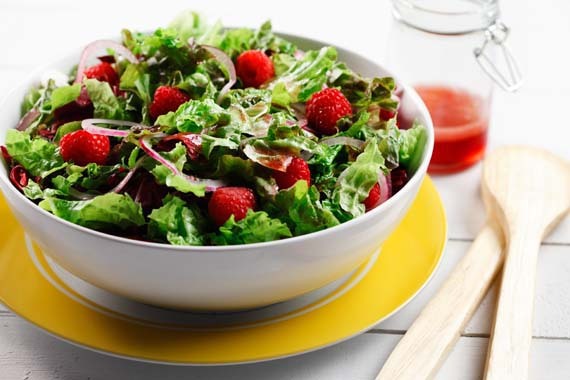 To prepare vinaigrette: combine raspberry juice, canola oil, vinegar and sugar in acontainer with a tight fitting lid. Shake until sugar dissolves. Serve immediately. This is a salad that is repeated over and over at our family functions. 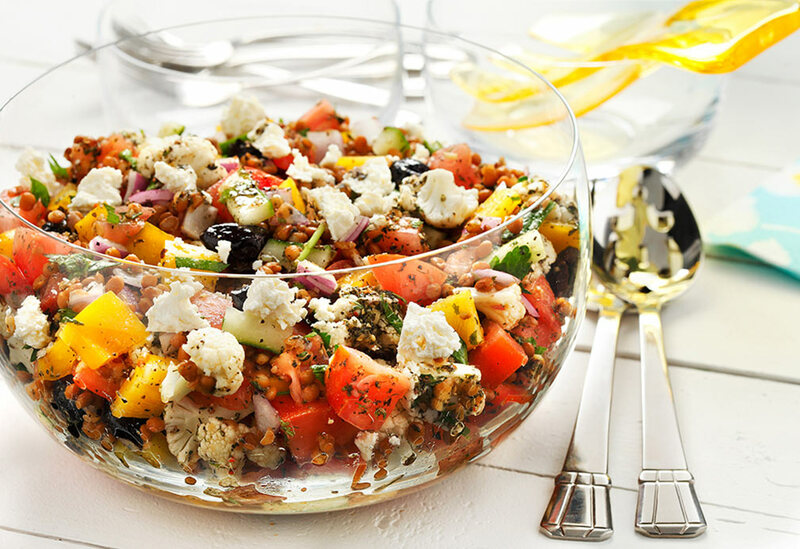 The lentils add a delicious twist to your everyday Greek salad.